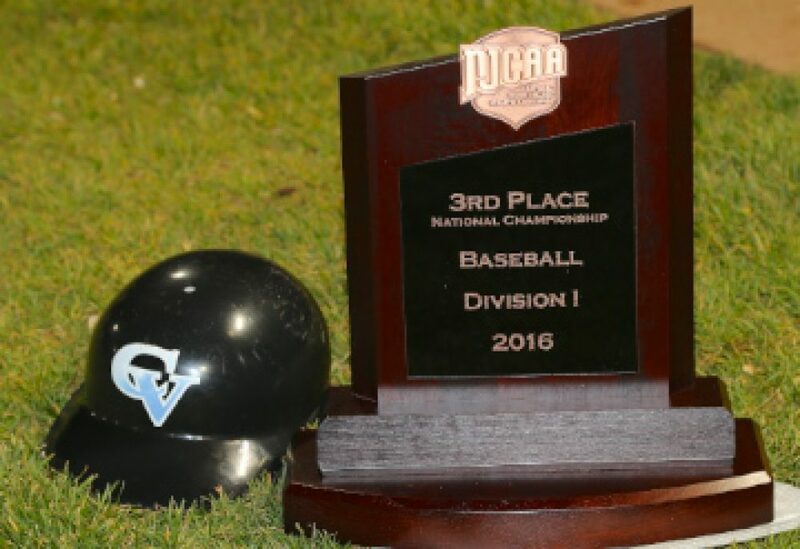 In CVCC’s final game of the fall season, the Pirates traveled next door to Columbus State University for their annual battle royal. The two clubs began playing each other in the fall of 2009 and CVCC has come out victorious in at least one of the double header meetings in the five year series, making this the first time the Pirates failed to knock off the Cougs. In fact, the Pirates actually hold the series edge, with 4-3-2 record against their Columbus neighbors. However, in an offensively challenged game on both ends, the Pirates fell behind early and were unable to mount a rally in a pitching dominated 4-1 loss. Instead of their customary double header, the two clubs settled for a single 9 inning game instead, as sophomore Hunter Mitchell got the start for the Pirates. After the CV hitters went 1-2-3 in the top of the first, the Cougars started their half with a leadoff walk, an infield single, and a 2 run double to give CSU the early 2-0 lead. Mitchell did settle in and tossed a scoreless 2nd and 3rd inning. After the Pirate hitters struck out for the 6 of the first 9 outs, the Pirate offense went to the bunting game in the 4th, in which the first three hitters bunted on every pitch. After 2 quick outs, Jake Maziar reached on a base hit bunt, stole second base and scored after Trevor Kieboom was given the okay to swing away with 2 strikes to put CV on the board and cut the lead in half at 2-1. Unfortunately, the Cougars got the run back immediately, as Pirate ace, Dalton Rentz, hit former Pirate, Big Time Timmy Jim Massengale to lead off the inning. CSU followed with a single to left and then a bunt single to load the bases with none out, and a big inning appeared to be on the horizon. However, Big Donkey hunkered down and induced an infield pop up for the first out, a run scoring sac fly to center field for out 2 and then proceeded to pick a runner off of second to end the inning, while avoiding what could have been a horrendous inning, keeping the score at 3-1. Rentz held the Cougars at bay in the 5th with a 1-2-3 inning, including 2 punchouts. Meanwhile, the Pirate offense just couldn’t get anything going to climb back in the game. Colt Ramsey came on in the 6th, and allowed a leadoff walk. Although Ramsey struck out the side, the lead off walk came back to haunt him, as he allowed the fourth and final run to score on a 2 out, 2 strike single to push the CSU lead to 4-1. In the top of the 7th, the Pirates had a golden opportunity to get back into the game, as John Holland singled to lead off the inning and stole second with no one out. Jake Maziar did a great job of situational hitting by moving Holland to 3rd with only 1 out. Kieboom then absolutely smoked a liner to the first baseman, leaving Holland at 3rd with 2 outs. After a great at bat by Evan Troutt resulting in a walk, Ben Williams struck out to end the inning and the Pirate scoring threat. Matty Evenson kept the Pirates in the game tossing a completely dominating 1-2-3 inning in the Cougar 7th, striking out 2 batters of his own. The Pirate offense threatened again in the eighth when Jared Martin led off with a single, but was again, left stranded at third, as the offense was unable to produce a hit. Kevin Moore tossed the a beautiful 8th, while after allowing a lead off single and stolen base, the runner advanced to third on an infield grounder. With the infield in with one out and a runner on third attempting to keep the game within reach, Moore promptly punched out the next two Cougar hitters to preserve the 4-1 deficit. Down by 3 in the 9th, the Pirates threatened again and brought the tying run to the plate with the heart of the order up. After a leadoff walk to Holland, Maziar singled to right. Unfortunately, as the theme of the night went, the Pirates were unable to capitalize on scoring opportunities and left Holland and pinch runner, Tripp Adams stranded at 2nd and 3rd to end the game. After a successful fall in which the Pirates went 10-3-1, the Pirates will begin the annual tradition of the Black and Blue Series next week.